There are no boundaries on God. His power is strategic, eternal and unlimited! As His child He wants you to learn how to command daily His supernatural power into your life. Your ability - what you can do - is now a function of what’s in your spirit, what you believe and the image you have of yourself and of your God. 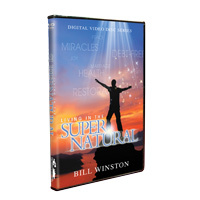 Let the revelation shared in this series help you to begin living your life on a whole new level of power as you learn how to live in the supernatural!